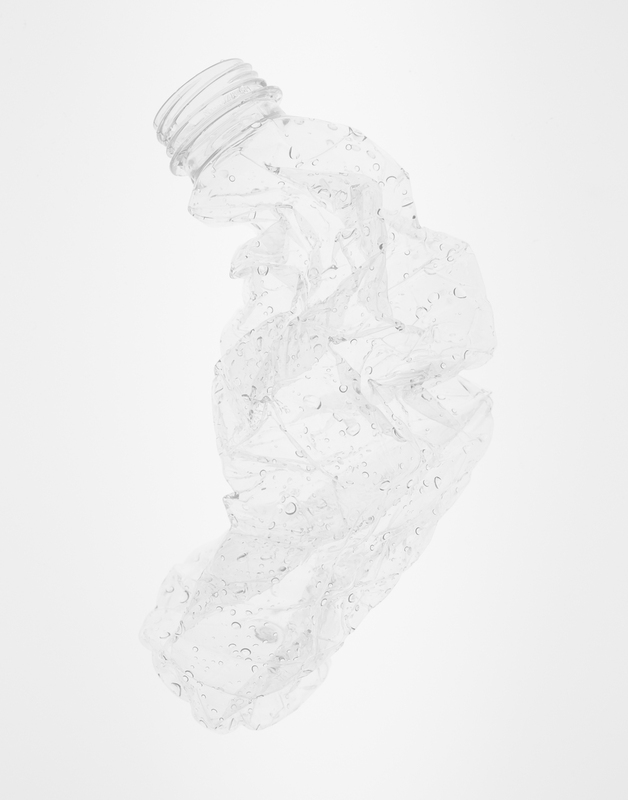 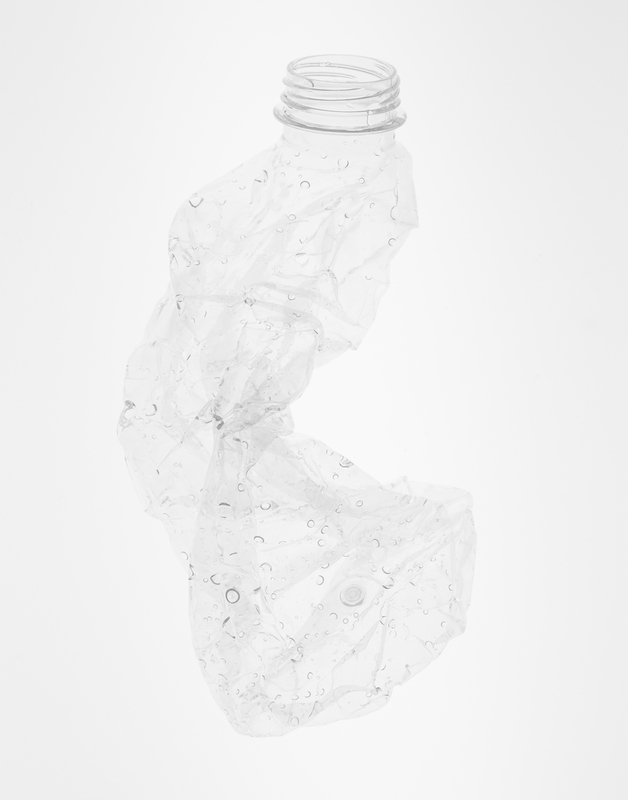 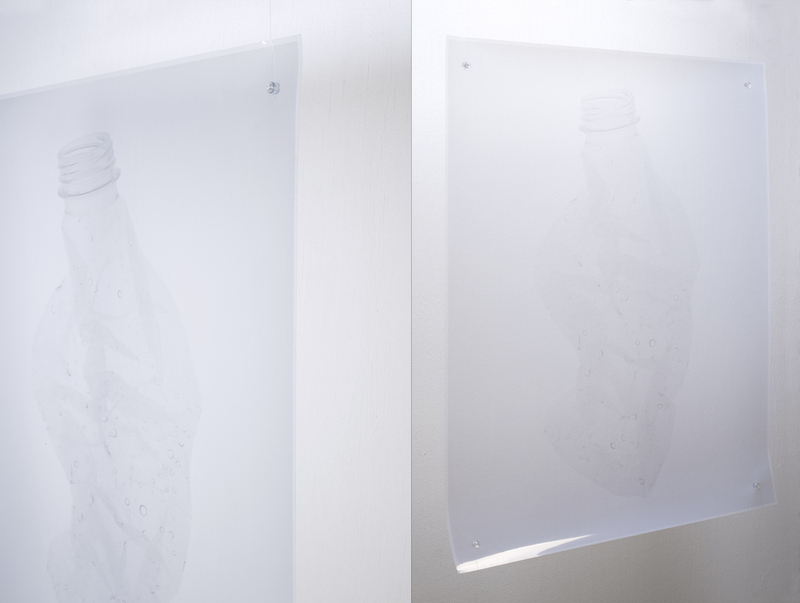 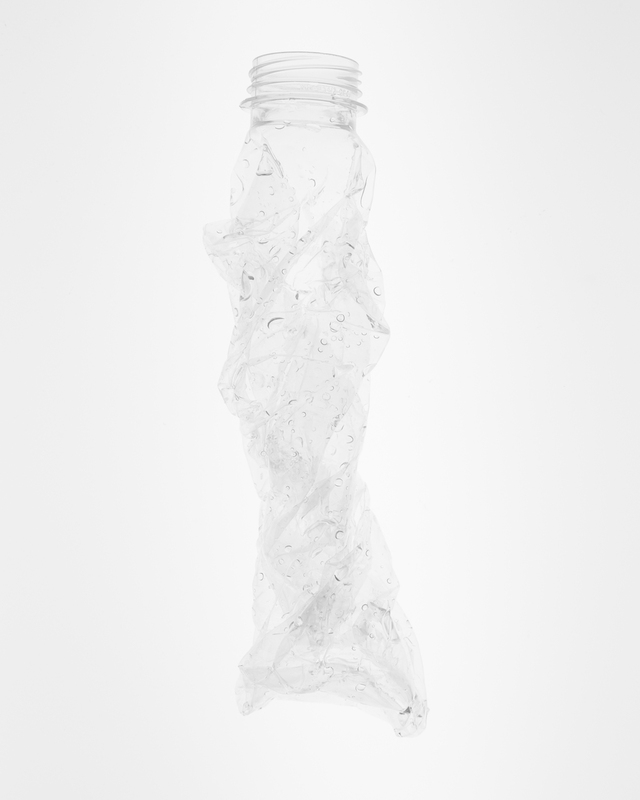 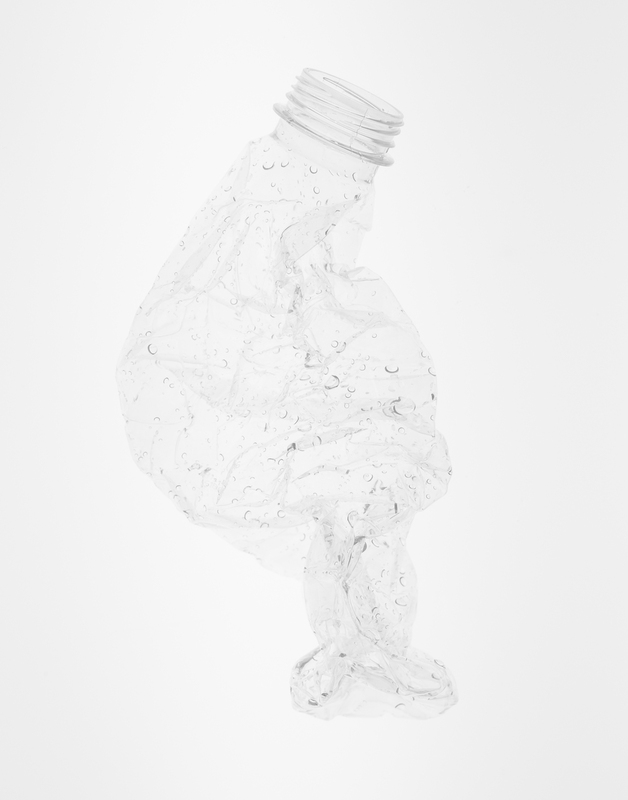 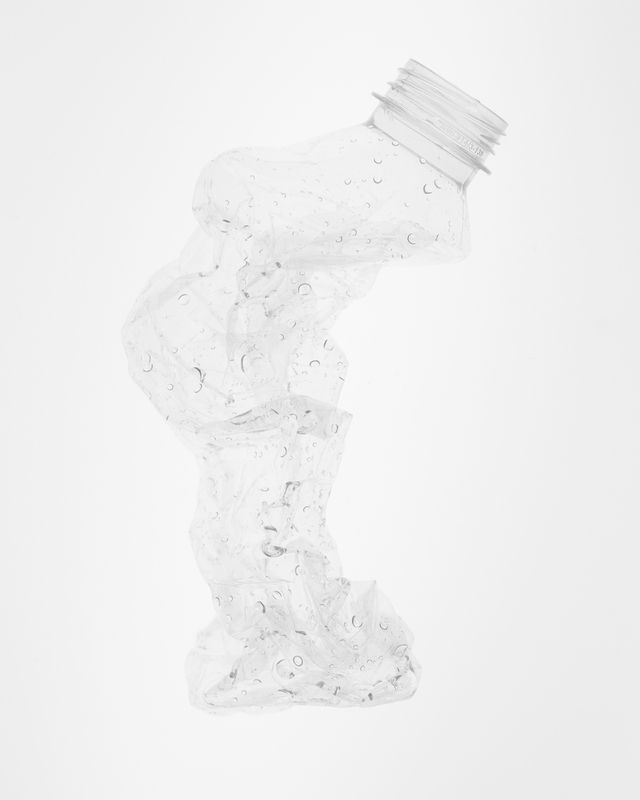 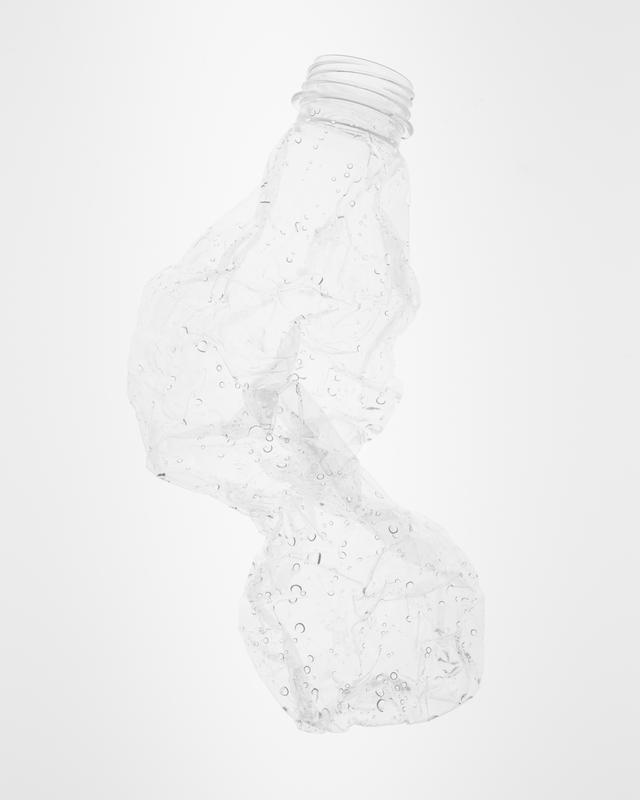 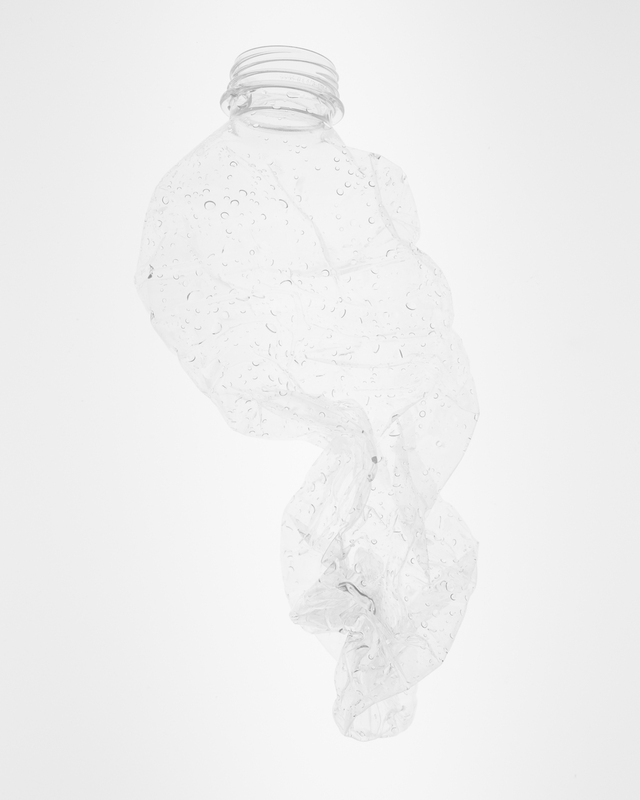 A plastic water bottle, a seemingly mundane object we use up and discard daily. 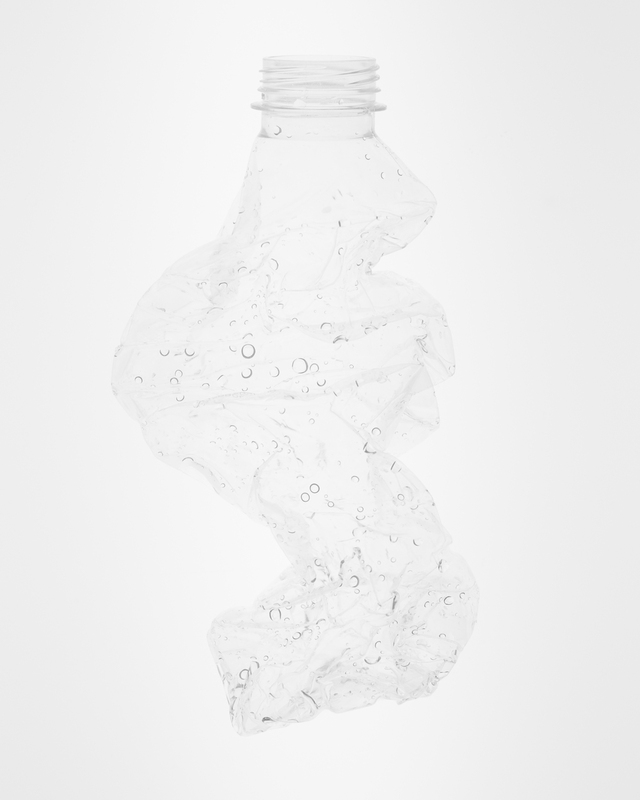 Once emptied of fluid it is deemed unimportant, devoid of purpose, but in this state of emptiness the bottle is full of transformative possibilities. 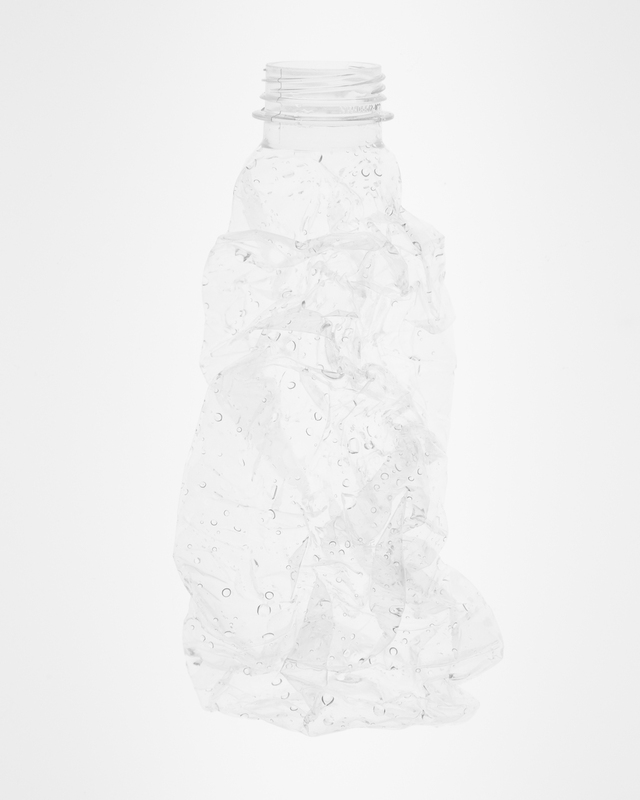 When force is applied to the bottle a metamorphosis occurs, the familiar structure of the bottle is disrupted, and is imbued with a sense of fluidity. 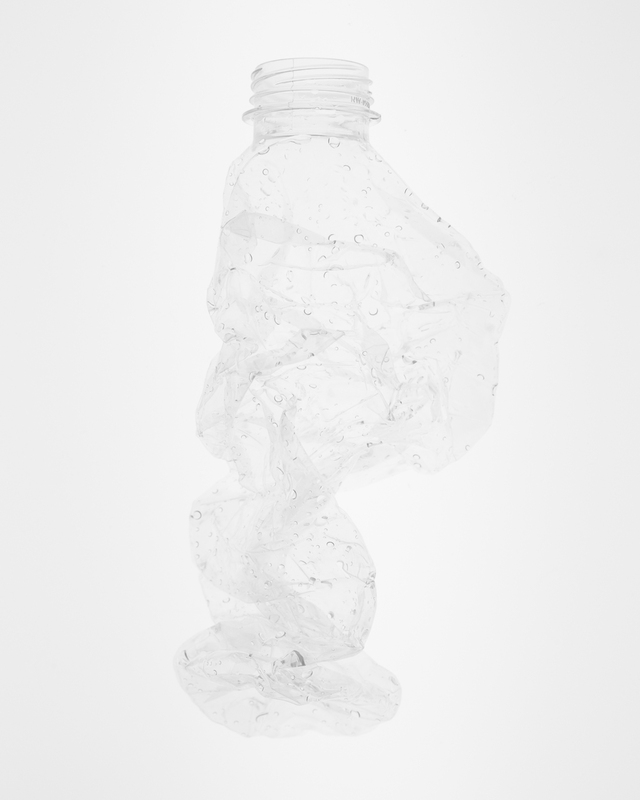 Out in the world this bottle would continue to go unnoticed, rendered invisible amongst the copious piles of garbage, but viewed in isolation it becomes an object worthy of contemplation, revealing subtle and unexpected intricacies.